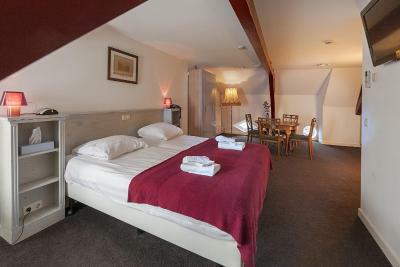 Lock in a great price for Logement de Gaaper – rated 8.5 by recent guests! Amazing location with a great view, very friendly staff. Comfy bed and a very clean room. 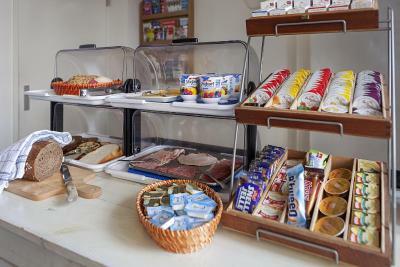 it is not very comfortably, very basic but the staff was very nice en the breakfast very good. Location, in the middle of the town center. Nice B&B place. 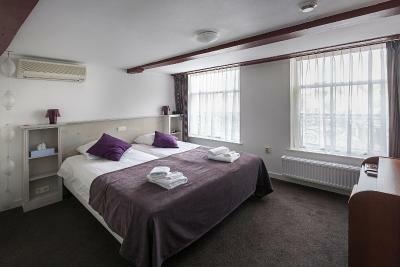 Good quality basic accommodation in a no nonsense hotel/B&B. Lovely clean hotel with friendly staff and all you could need. Unique location just in the corner of central town square. Logement de Gaaper This rating is a reflection of how the property compares to the industry standard when it comes to price, facilities and services available. It's based on a self-evaluation by the property. Use this rating to help choose your stay! 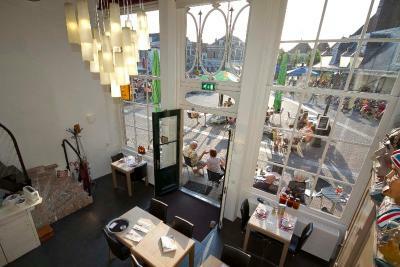 One of our top picks in Amersfoort.Logement de Gaaper is in a monumental building in the old city center of Amersfoort. 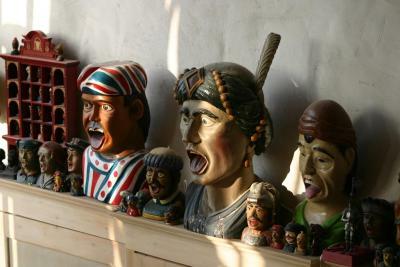 It is in a pedestrian shopping area nearby the market square and its terraces. The modern rooms feature high-quality beds and offer views of the Langestraat, the main shopping street, or the Hof, one of the most picturesque spots and the oldest part of Amersfoort. There are studios as well for longer stays. Free Wi-Fi is included. 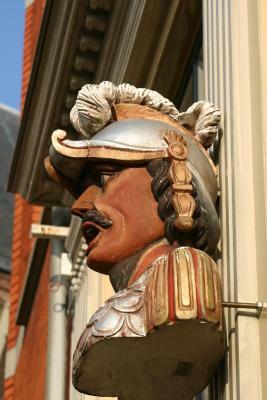 This property also has one of the top-rated locations in Amersfoort! Guests are happier about it compared to other properties in the area. When would you like to stay at Logement de Gaaper? This compact air-conditioned room includes a bathroom with a shower. Public parking is available at a location nearby (reservation is not possible) and costs EUR 9 per stay. 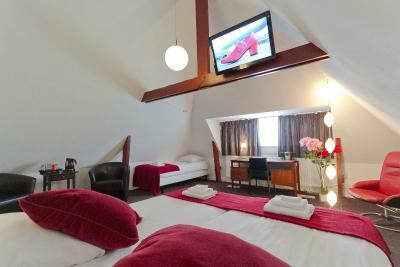 This compact room features flat-screen TV, tea and coffee-making facilities and a bathroom with a spacious bath. This room offers a spacious layout. This room offers a spacious layout and a tea/coffee maker. This quiet room features lots of space, a work desk and a large flat-screen TV. House Rules Logement de Gaaper takes special requests – add in the next step! ATM card Debit card Logement de Gaaper accepts these cards and reserves the right to temporarily hold an amount prior to arrival. Logement de Gaaper accepts these cards and reserves the right to temporarily hold an amount prior to arrival. Please note that the hotel is difficult to reach by car as it is located in the city center, where cars are not allowed between shopping hours. 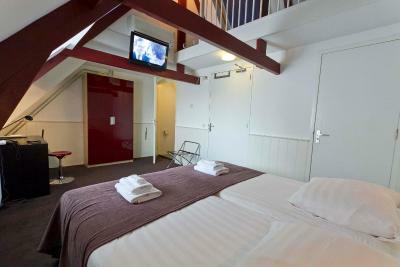 There are 2 parking garages 1,650 feet from the hotel, located at the Koestraat and Flintplein. The hotel can provide with an exit pass that gives a discount price. Please note that this property does not have a elevator. Rooms are access via a staircase. Small bathroom. Shower is separated with partial floating glass screen so when you shower everything around gets wet. In the center and can see the view of Marktplatz. Market was being errected at 5 am which meant disturbed sleep. The room was a little small, but good enough. Location in the centre was perfect. Breakfast was really good. Staff was very friendly! 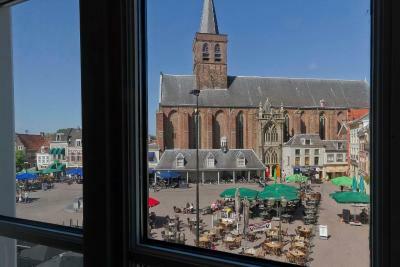 Of course to be expected in the heart of the centre of town: very noisy at night with partying people. Didn't sleep well (even though the hotel provides ear plugs). But in the day it was nice to stay at such a central place. Friendly staff, nice and clean room. Perfectly located in the centre of the city. Nice breakfast. There was no heating in the bathroom. The room and corridors were really cold. Very nice location at the central square. Good and clean old stile house. The noise from the street disrupted our sleep (even though the hotel provided earplugs) The parking garage was about 8 minutes walking distance and the first night it cost us 29 euro, the Flint garage was cheaper (9.50 euro for the night) but only on the 3rd day was I informed that the hotel could provide parking cards at a discount. The single room was not much to write home about. No comfortable chair to watch tv f. i., tv was too high to the ceiling to watch comfortably anyway; no bath; 3 out of 4 lamps were not working; even noisier because on the side of the square with the noise of the bars/restaurants late at night and market early in the morning. Beds could be longer, early sleepers better be prepared for the main square carillon that plays into the evening, although this is no fault of the hotel itself, of course. The square can be noisy, even on a monday evening. Nice helpfull staff, super location, breakfast is nice, looking out on the square. Great atmosphere, delicious food and very friendly and competent service. Very nice and helpful staff. Great location.